Today’s dietary supplements are not only vitamins and minerals. They also include other less-familiar substances such as herbals, botanicals, amino acids, enzymes, and animal extracts. Some dietary supplements are well understood and established, but others need further study. Whatever your choice, supplements should not replace the variety of foods important to a healthful diet. Unlike drugs, dietary supplements are not pre-approved by the government for safety or effectiveness before marketing. Also, unlike drugs, supplements are not intended to treat, diagnose, prevent, or cure diseases. But some supplements can help assure that you get an adequate dietary intake of essential nutrients; others may help you reduce your risk of disease. Some older people, for example, are tired due to low iron levels. In that case, their doctor may recommend an iron supplement. At times, it can be confusing to tell the difference between a dietary supplement, a food, or over-the-counter (OTC) medicines. This is because supplements, by law, come in a variety of forms that resemble these products, such as tablets, capsules, powders, energy bars, or drinks. One way to know if a product is a dietary supplement is to look for a label on the product that says Supplement Facts. 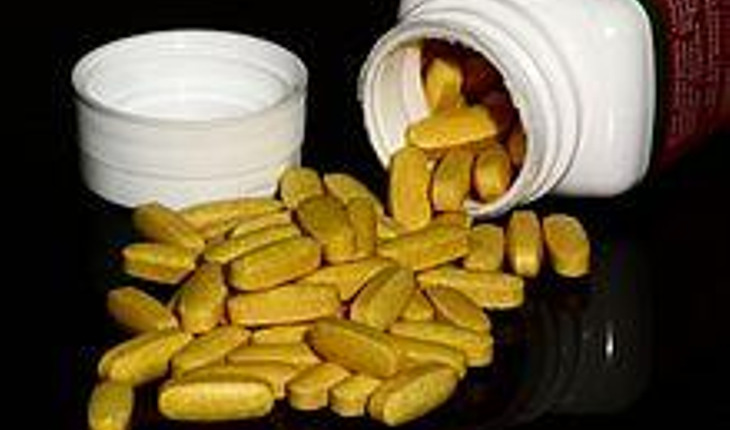 CAN DIETARY SUPPLEMENTS HELP OLDER CONSUMERS? Even if you eat a wide variety of foods, how can you be sure that you are getting all the vitamins, minerals, and other nutrients you need as you get older? If you are over 50, your nutritional needs may change. Informed food choices are the first place to start, making sure you get a variety of foods while watching your calorie intake. Supplements and fortified foods may also help you get appropriate amounts of nutrients. To help you make informed decisions, talk to your doctor and/or registered dietitian. They can work together with you to determine if your intake of a specific nutrient might be too low or too high and then decide how you can achieve a balance between the foods and nutrients you personally need. ARE THERE ANY RISKS, ESPECIALLY TO OLDER CONSUMERS? Are you taking both medicines and supplements? Are you substituting one for the other? Taking a combination of supplements, using these products together with medications (whether prescription or over-the-counter), or substituting them in place of medicines your doctor prescribes could lead to harmful, even life-threatening results. Be alert to any advisories about these products. Coumadin (a prescription medicine), ginkgo biloba (an herbal supplement), aspirin (an over-the-counter drug), and vitamin E (a vitamin supplement) can each thin the blood. Taking any of these products alone or together can increase the potential for internal bleeding or stroke. Another example is St. John’s wort that may reduce the effectiveness of prescription drugs for heart disease, depression, seizures, certain cancers, or HIV. Are you planning surgery? Some supplements can have unwanted effects before, during, and after surgery. It is important to fully inform your healthcare professional, including your pharmacist, about the vitamins, minerals, herbals, and any other supplements you are taking, especially before surgery. You may be asked to stop taking these products at least two to three weeks ahead of the procedure to avoid potentially dangerous supplement/drug interactions – such as changes in heart rate, blood pressure, or bleeding risk that could adversely affect the outcome of your surgery. Is taking more of a good thing better? Some people might think that if a little is good, taking a lot is even better. But taking too much of some nutrients, even vitamins and minerals, can also cause problems. Depending on the supplement, your age, and the status of your health, taking more than 100% of the Daily Value (DV) of certain vitamins and minerals, e.g. Vitamin A, vitamin D, and iron (from supplements and food sources like vitamin-fortified cereals and drinks) may actually harm your health. Large amounts can also interfere with how your medicines work. Remember: Your combined intake from all supplements (including multivitamins, single supplements, and combination products) plus fortified foods, like some cereals and drinks, could cause health problems. WHO’S RESPONSIBLE FOR ENSURING THE SAFETY AND EFFICACY OF DIETARY SUPPLEMENTS? WHAT QUESTIONS SHOULD I ASK MY HEALTH CARE PRACTITIONER? Is taking a dietary supplement an important part of my total diet? Are there any precautions or warnings I should know about (e.g. is there an amount or “upper limit” I should not go above)? Are there any known side effects (e.g., loss of appetite, nausea, headaches, etc.)? Do they apply to me? Are there any foods, medicines (prescription or over-the counter), or other supplements I should avoid while taking this product? If I am scheduled for surgery, should I be concerned about the dietary supplements I am taking? What is this product for? What are its intended benefits? How, when and for how long should I take it? Reprinted from www.fda.gov. For more information on consumers, health, and product recalls, visit U.S Food and Drug Administration.